Situated on the bank of the Godavari River, Nasik lies in Maharashtra state of India. Lined with many temples and vivid bathing ghats, the city is one of four sites of the largest religious gatherings in the world, the Kumbh Mela that takes place after every three years with each city hosting it once every 12 years. Visit the Sundar Narayan Temple, Sita Gupta Caves and Trimbakeshwar Temple, one of the 12 jyotirlingas of Lord Shiva in Nasik city to free your soul from all the sins. At Tour My India, we host 2 nights and 3 days Nasik Weekend Tour that will take you to the holy city of Nasik. Our weekend tour to Nasik will allow you to perform your rituals and pray for a better and healthy life. So, be ready to pay a tribute to Lord Shiva by visit one of his favourite adobes. On arrival at Mumbai Airport / Railway station, meet our representative and drive to Nashik. On arrival, check-in at the hotel. Evening is free for your own activity or you can visit the Sundar Narayan Temple and Sita Gupta Caves. An overnight stay in the hotel. Early in the morning, we will visit the famous Trimbakeshwar Temple and the source of the Godavari River. Enjoy a night stay in the hotel. 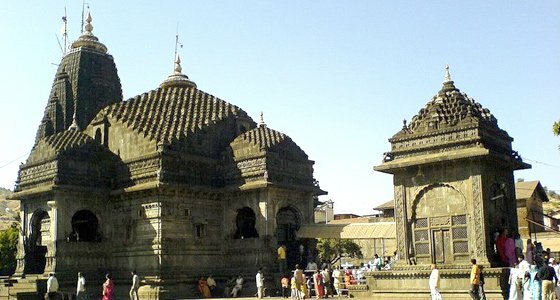 Trimbakeshwar is the main jyotirling out of 12 jyotirlingas devoted to Lord Shiva. According to the legend, Guatama Rishi executed a precise ritual of prayer and tapasya or penance to Shiva on Brahmagiri Hill, which rises above the current temple. It is believed that after being pleased with his dedication, Lord Shiva have blessed him and brought down the sacred rivers of Ganga, Godavari and Gautami to earth from the heaven. Before entering this holy temple, devotees bathe and purify themselves from all sins at the Kushavarta Teertha. After breakfast, we will drive back to Mumbai. On arrival in Mumbai, we will transfer to the airport/railway station for your onward destination.